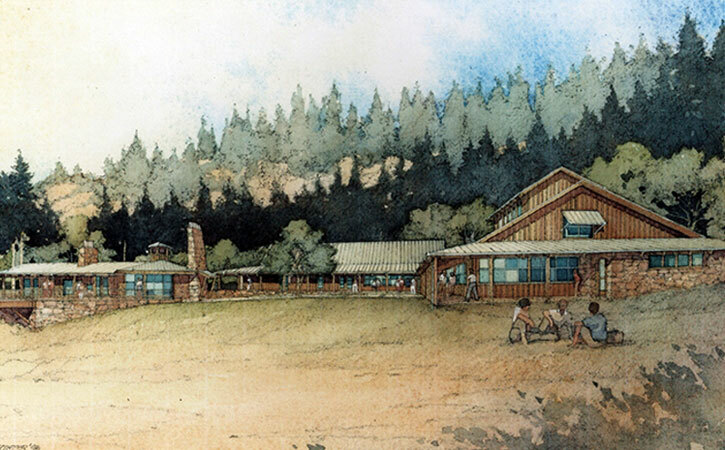 This new center will support curricular programs for the Forestry and Natural Resources Management Majors at Cal Poly. The new, environmentally-responsible development will be a state-of-the-art education facility and include a retreat center with distance learning capability, computer lab’s, library, study lab’s, dining hall, multi-purpose facility, and housing for students, faculty and staff. Natural day lighting, passive and active solar as well as other alternative energy systems will be utilized. 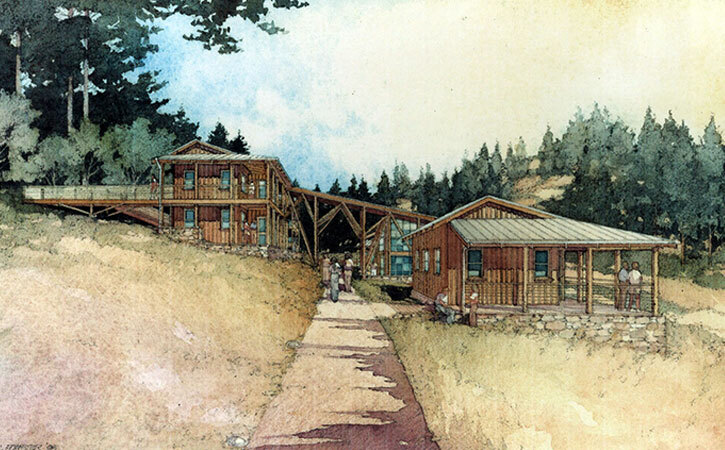 The design challenge was to incorporate a fully functional learning facility in a remote area of a 3,000 acre working ranch. The ranch is home to several endangered wildlife species including Coho Salmon, California red legged frogs and the Snowy Plover. Overall 400 species of California plants grow on the ranch. The additional challenge was to design a remote campus that is designed under the new LEED Certification guidelines to have a facility that is truly environmentally friendly, using as little energy as possible. The solution was to design a facility around the natural resources of its coastal California environment while evoking the feeling of a working ranch.